In Part 1 of Muscle Monday, I discussed the importance of using those precious minutes prior to the rest of the house waking to be more productive. We talked about how that extra 20 to 30 minutes is golden time for getting things done. Today, I’d like to talk about what we can do with that time. I have absolutely no idea which government agency started the rumor that exercise sessions must be an hour in length. Even in my practice I emphasize to clients that they are paying me on a per session rate, not per hour. Will you get less results if I cut the workout down to 45-minutes? Would you get double the results if I trained you for 2 hours? If you don’t exercise for an hour, are your efforts futile? The answer of course is A BIG FAT NO. Your body’s favorable hormone balance declines after about 40 minutes of exercise. After that, levels of cortisol (a stress hormone related to storing fat in your belly) in your blood start to increase dramatically. This, as men who hate our spare tires, is exactly what we want to avoid. It should be mentioned that cortisol is secreted not only when you are stressing your body through exercise, but also when external stressors affect your life as well. Your body can’t really tell the difference between stressors. All it knows is that there is STRESS. Have you ever noticed how really stressed out people have a hard time losing their paunch belly? They’re usually lean everywhere else except that lower part of their midsection. Cortisol could be the reason why. So if you’re kids are irritating you, and you just had an argument with your wife and you get a call from the bank telling you that someone in Amsterdam has been using your credit card, then chances are that you’ve got a lot of cortisol in your blood. At that point, going out for a 60-minute jog wouldn’t be the best choice of exercise. The solution? Using QUALITY of exercise instead of going for QUANTITY or duration of exercise. For me, I’ve managed to get an efficient and intense workout done in no more than 23-minutes and I now spend a lot of time teaching other busy dads how to do the same. How? By using resistance training and bodyweight circuits designed to use every muscle in the body. Bodyweight resistance training (discussed more in Part 3) are exercises that use only your body and not much else. You can build an amazingly functional and strong physique just by using this type of training (think the U.S. Men’s Gymnastic Team). Simple exercises such as push-ups, chin-ups, squats, lunges and dips combined in a circuit form will not only give you great strength, but with limited rest, you’ll be gaining all the cardiovascular benefits that you would if you did just traditional aerobic training. After a 20-minute session, your heart will be pumping through the roof. The best part about this type of training is that it’s not repetitive. Where with running or biking or pedaling on an elliptical trainer involves you doing the same motion sometimes for over 1000 repetitions. Resistance training combines different movements done in a logical order to avoid that repetition. The results being less overuse injury, less muscle imbalance and LESS BOREDOM. By working out intensely for 20-30 minutes, you stress your body just enough to elicit a great fat burning response but not an overwhelming secretion of cortisol. You’ll get an amazing feeling of accomplishment, a revved up metabolism and the rest of the day to worry about the “everyday” stuff and not having to think, “When am I going to fit my workout in today”? Cutting your workout time and increasing the intensity is a sure fire way to speed up your fat burning efforts and give you those extra few minutes that every busy dad needs. 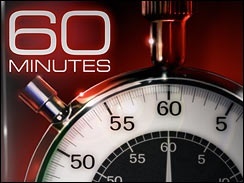 What are you going to do with the 60 minutes per day that I just found you? Stay tuned for next Monday’s Muscle Monday installment!